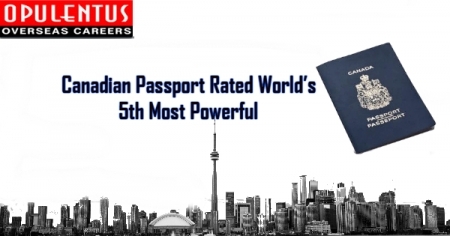 Canada Passport is one of the strongest passports in the world, and it secured 5th place in the global ranking. Canada stands in the 5th place along with other countries like Belgium, Denmark, Ireland, and Switzerland. Passport holders of these countries can travel to 185 countries without a visa. The most powerful passport in the world is Japanese passport. Japanese passport holders can travel to 189 countries around the globe without a visa. Germany and Singapore come under the second place. Passport holders of Germany and Singapore countries can travel to 188 countries across the world without a visa. Canadian Passport secures a good rank regularly. If a country has more visa-free access to other nations means more freedom to the citizens of that country. Federal Government of Canada recently made necessary changes to rules of passport with the intention of defending children below the age of 16 restricting the document from being misused. Fundamental changes include providing more power to the Canadian immigration minister that he can issue the passport without the necessity for an application or he can reject to issue the passport to a child if they think it is in the child’s genuine interest. The immigration minister is given the power to deny to issue a passport if they believe someone other than the bearer will use it. It has taken place only after the Canadian Human Rights Act was changed to add gender expression and gender identity to the list of prohibited grounds of discrimination. The Government of Canada is working towards a ‘consistent federal approach’ when it appears to gender neutrality. Dual citizens need to make sure they are conscious of Canada’s new passport rules. Dual citizens now compulsory need a passport of Canada to fly into the country following the introduction of Canada’s Electronic Travel Authorisation (eTA) in the year 2016. The rules of eTA made thousands of dual citizens to apply for a passport of Canada. Canadian missions in Australia, the UK, Germany, and France say that the increase in application numbers created processing times to multiply in some circumstances.